To prevent expensive damage to your Lakeland property, keep up on your septic pump-outs and schedule regular tank inspections. As a septic system owner, you have a few important responsibilities when it comes to maintenance. Septic systems don’t require a lot of maintenance, but the most important tasks shouldn’t be skipped. If you don’t keep up with routine inspections and pumping, you could end up with a very unpleasant situation, such as an overloaded tank that overflows onto your property or clogged drains that lead to water damage within your home or business. Here at Averett Septic Tank Co Inc., we believe in educating our clients on the many options and maintenance solutions for their specific septic system. When a client understands what it takes to properly maintain their system, they are more likely to avoid costly and time-consuming repairs down the road. Regular maintenance includes septic pump-outs, filter cleaning, inspections, and smaller repairs. The fact of the matter is that many septic systems are neglected. When a septic system is functioning properly, it is easy to forget that it needs proper septic pump-outs and maintenance at regular intervals to keep things moving smoothly. Most people don’t spend a lot of time thinking about their septic systems, at least until something goes wrong. It is only when our septic systems begin to fail us that we really put the time and effort into their maintenance. It is a common practice that aligns with the phrase “Out of sight, out of mind.” While the time between your septic pump-outs will vary by the size and needs of your system, your filter should be cleaned annually. The recommended timeline for pumping out the average system is every 3-5 years, although our technicians can determine how often yours needs to be pumped out. It is important that you learn the size and location of your tank to properly evaluate your system’s needs. Try to keep up on your septic pump-outs and schedule regular tank inspections. If it has been a while since you had these services performed, your septic system may be giving you warning signs to let you know things aren’t working as they should. Common red flags include clogged or gurgling drains, strange odors inside or outside, standing water in the yard, or areas where grass is growing significantly faster than in other areas. If you spot any of these warning signs, it’s best to contact us at Averett Septic Tank Co Inc. to find out what is causing the issue. We are available for emergency service 24 hours a day. A septic issue is certainly classified as urgent, since leaving it untreated could result in a major disaster at your property. Don’t hesitate to contact us if you have a problem with your septic system that could indicate a more pressing issue. We’ll be happy to talk through the situation by phone and determine whether 24-hour emergency service is needed. If you feel you may have a neglected system or if you are experiencing any of the warning signs of a septic problem, contact us at Averett Septic Tank Co Inc. today for a septic pump-out. We service the entire Lakeland, Florida area. 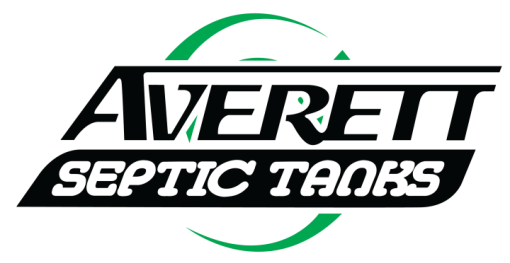 At Averett Septic Tank Co Inc., we perform septic pump-outs in Lakeland, Winter Haven, Auburndale, Bartow, Polk City, Plant City, Haines City, Mulberry, Polk County, and Eastern Hillsborough County, Florida. Is it time to pump out your septic tank? ★★★★★ 22th August 2018 Bea D.